The experience of victimization often leaves a child or young person frightened, lacking in confidence, or emotionally vulnerable and they can turn to crime in response to being a victim. Coming to terms with what happened and understanding their feelings and reactions is therefore vital to a full recovery. Why Me? is a programme designed to help children and young people recover from the experience of victimization, through use of exercises, activities and a DVD. These explore the young person's feelings both when they were victimized and afterwards, their needs, their personal strengths and encourage them to think about their support network. Activities include drawing, making graphs, writing letters, and thinking about how the children feel about what happened and their recovery. The book also includes guidance for adults working with young people and case examples that demonstrate how best to use the programme. 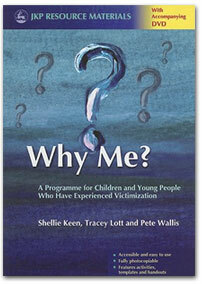 The DVD contains real-life stories of young people who have been victimized and supports the exercises in the book. Why Me? 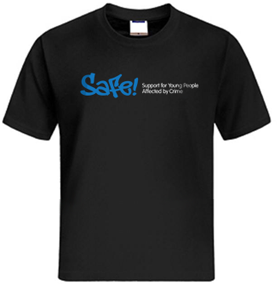 is an essential resource for any adult who may encounter a child or young person who has been victimized, including social workers, youth workers, teachers, police, education welfare officers and victim support and witness service workers. How do you spot the signs that a young person has been victimised? What do you do if you are approached by a young person who has been affected by crime or bullying? What is the impact of crime and how can you best aid the young person's recovery? Are You Okay deals with these issues that many adults may face when trying to help a young person in their care in the aftermath of a crime. It provides detailed information on the different types of crime from assault and hate crime to cyberbullying and sexual abuse, and explores how they may affect the young person in different ways. 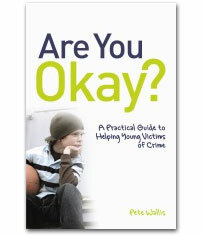 The author also addresses difficult issues such as dealing with fears of retaliation, confidentiality and whether a crime should be reported, the grey area between crime and bullying and how best to assess the young person's needs. This accessible guide will be essential reading for anyone working with children and young people aged 8+, including social workers, youth workers, teachers, police, education welfare officers and victim support and witness service workers. 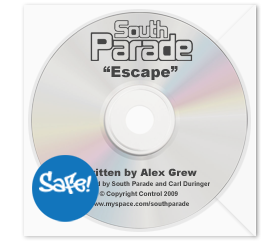 This song was donated to SAFE! by Oxford band South Parade. SAFE! receive proceeds from each sale. The design is printed in blue and white on a heavy, 100% cotton, premium quality black t-shirt which comes pre-shrunk and is fully machine washable at up to 60�C.